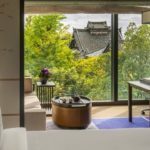 Opened in 2016 the Four Seasons Hotel Kyoto is situated in the scenic temple district of Eastern Kyoto. 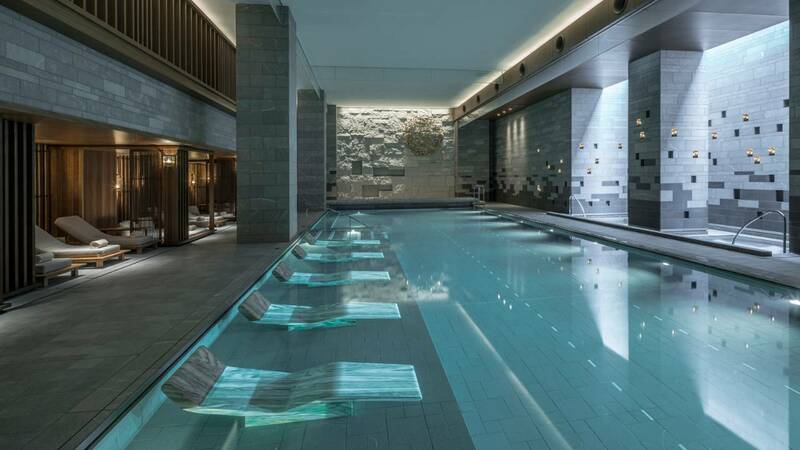 Centred around an 800-year old ikeniwa (pool garden), the hotel offers guests a tranquil atmosphere in which to relax. 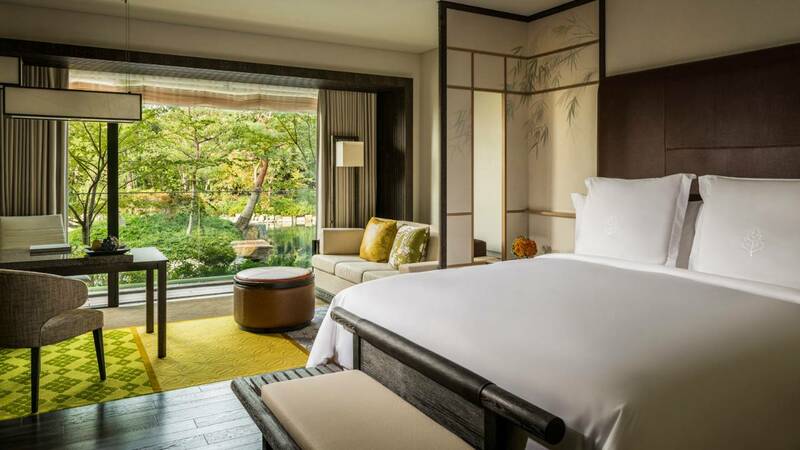 In its spacious guest rooms, suites and Hotel residences, the Four Seasons Hotel Kyoto blends refined, modern aesthetics and the creations of Japanese artisans – including washi-paper lamps, fusuma screens and urushi lacquerware. Patterns of light and shadow play from large windows, and bathrooms reflect the soothing effects of water. 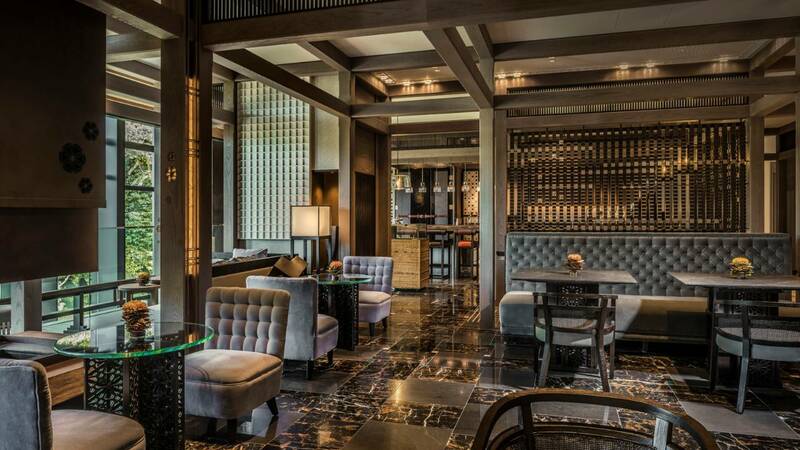 It is a simply beautiful hotel and a fantastically luxurious choice. 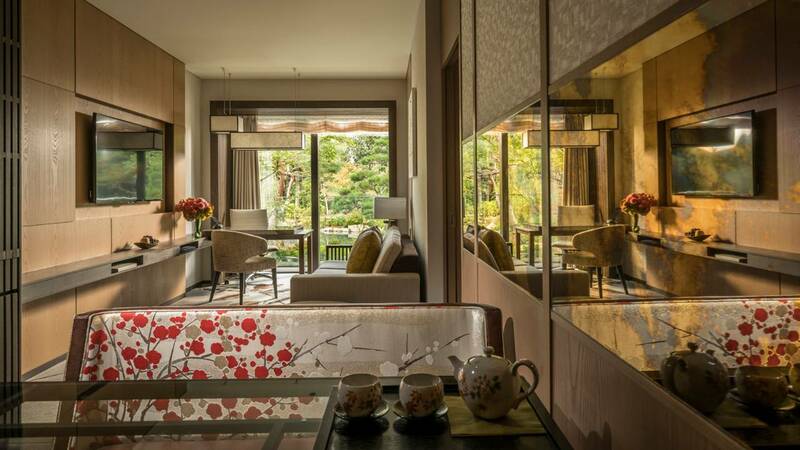 It is an excellent blend of Japanese and western style, with a beautiful garden and stunning rooms. The hotel entrance is located on the building’s 3rd floor but guest rooms are located from the 1st floor upwards. 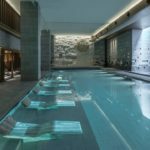 The basement is home to a spa, beauty salon, and ofuro (a typically deep, hot-water filled wooden/ stone Japanese-style bath). 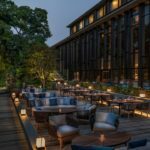 Often clients can feel unsure about choosing an international chain in Japan, wanting instead to find something “more Japanese,” yet the Four Seasons Kyoto is unique, and designed to reflect the historical city just outside its doors. 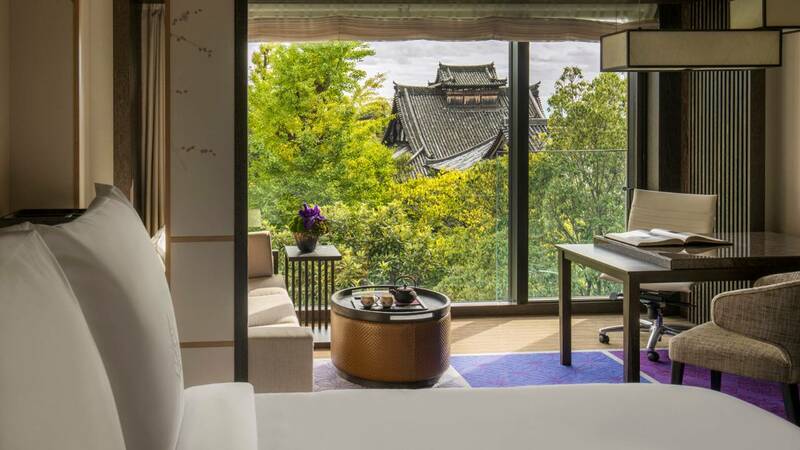 The Four Seasons Kyoto exudes prestige, beauty, elegance and magic. Upon entering the hotel, I was greeted with a wonderful display of sunflowers and quickly learnt that European florist Nicolai Bergman was responsible for all of the hotel’s floral masterpieces. 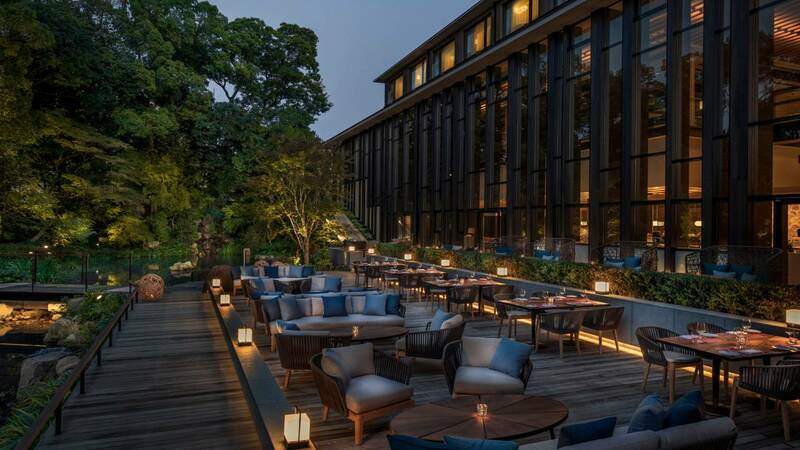 I have seen and admired his work at exhibitions elsewhere in Japan (where his work is very highly praised), and indeed Mr Bergman has 11 shops in Japan, one of which is in the Four Seasons Kyoto itself – ideal for those as impressed with the floral offerings as I. 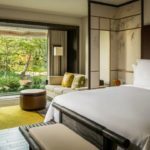 His beautifully lavish displays in the Four Seasons Kyoto really help bring the outside in. Stealing my eyes away from the lobby I quickly noticed, thanks to the Four Seasons enormous 9 meter tall floor-ceiling windows, that the garden is equally as enchanting. 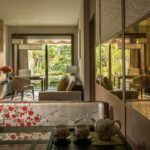 Complete with its own Tea House which also serves champagne and sake in addition to offering a traditional tea ceremony with a Tea Master, the garden is framed by the windows (whose frames are inspired by bamboo) to look like a beautiful picture. The garden boasts a beautiful lake, and the bridge which crosses over is constructed from stone dating back to the Heian era. 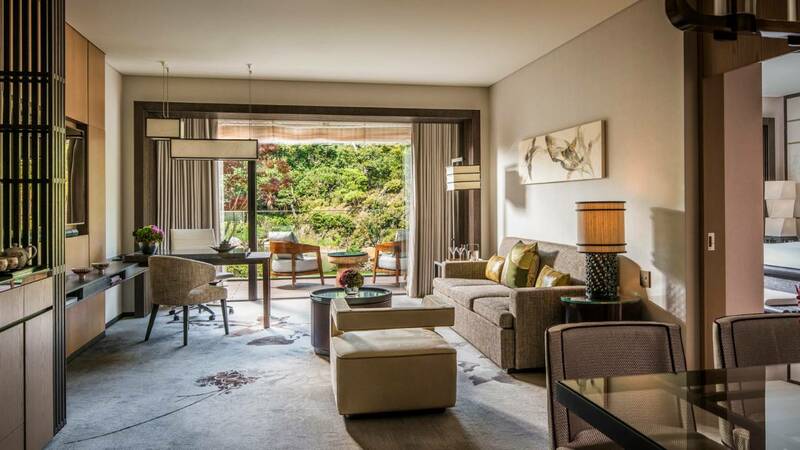 What struck me most about this hotel was how much it encompasses the sense of Japanese design, elegance and simplicity, whilst still remaining grand and luxurious. 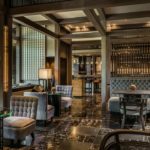 The lobby area, for example, has a slightly raised lounge area, surrounded by a subtle wooden frame: it immediately conjures ideas of ryokan or machiya – which can be seen all over Kyoto – yet within this structure are comfortable chairs and a lounging sofa, with sumptuous cushions. 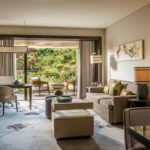 It’s this combination of a strong luxury product and inherently Japanese style which makes this hotel such a standout, I believe.